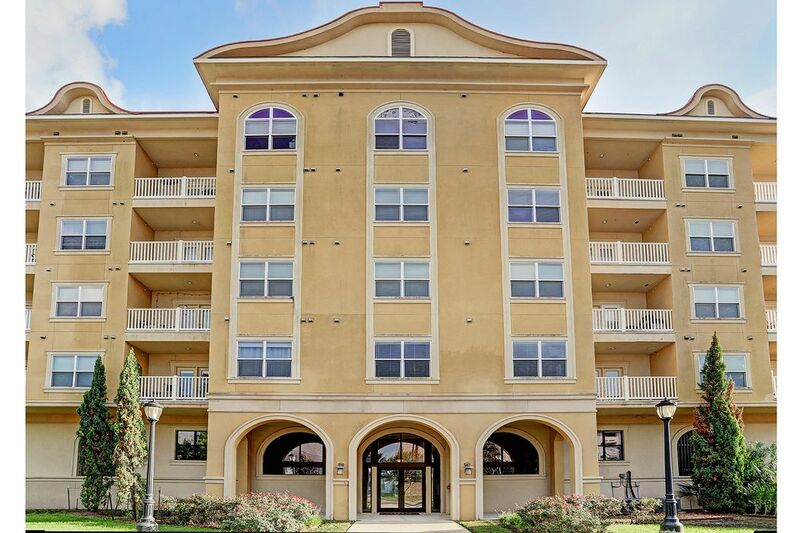 2203 Dorrington Street Unit 409, Houston, TX 77030 | Martha Turner Sotheby's International Realty, Inc. 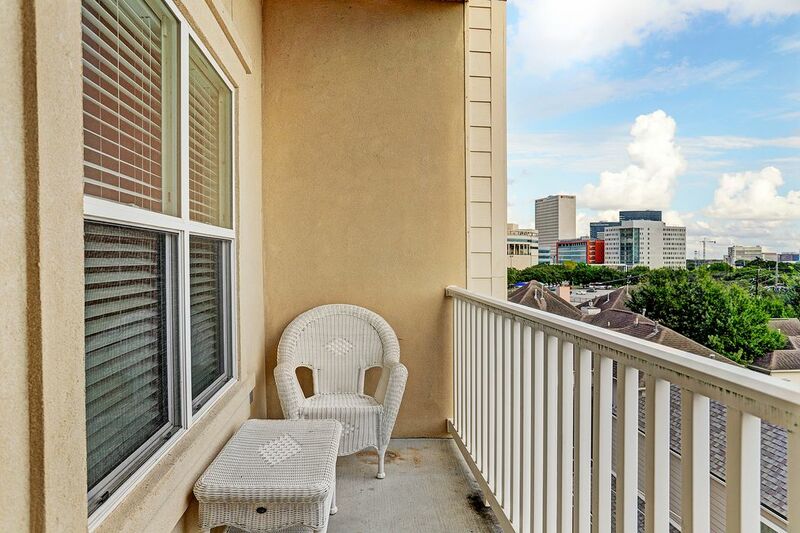 Welcome to 2203 Dorrington, walking distance to Rice Village, Rice University & the Medical Center! 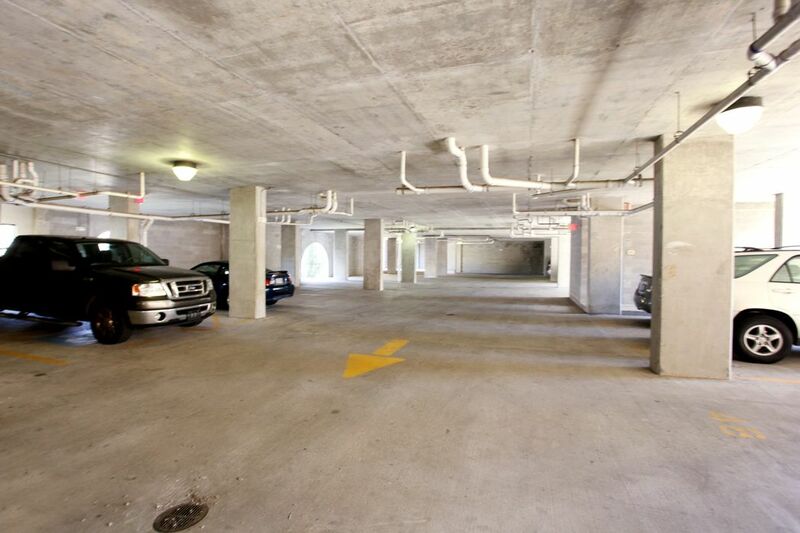 The charming Serento Condos is a limited access building with covered assigned parking. 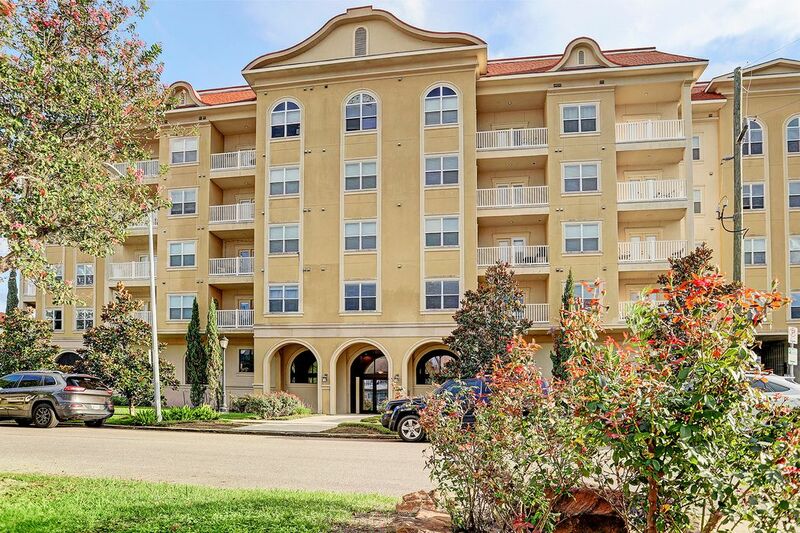 Enjoy access to the Fitness Room and Community Patio! 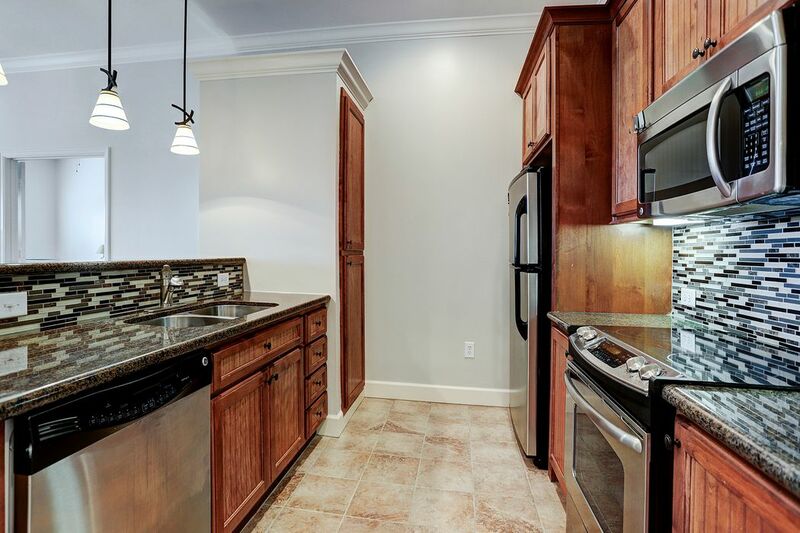 KITCHEN (10 x 5) – Granite surfaces, tile backsplash, breakfast bar & SS GE appliances. 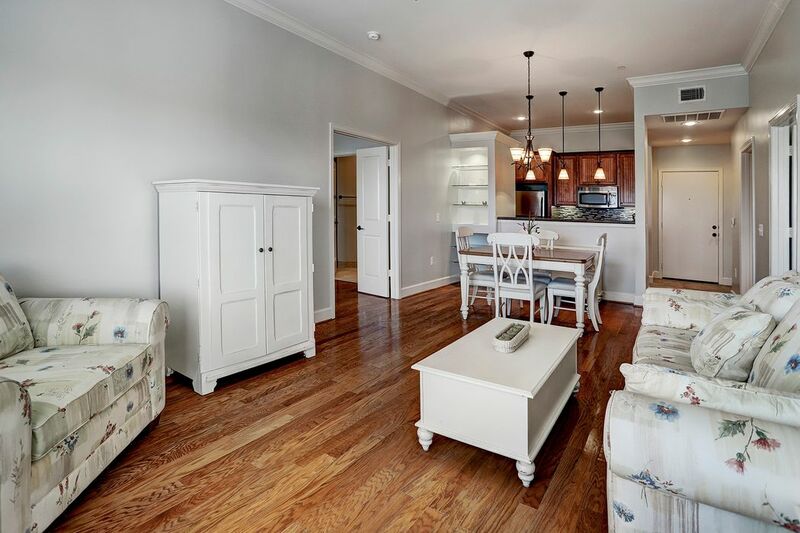 Wood cabinetry, (3) pendant lights & crown molding. Tile flooring. Refrigerator remains. View of Kitchen & Family/Dining Area from Entry (hall closet & utility room w/ GE washer/dryer (remains) not pictured). New paint throughout! FAMILY/DINING AREA (22 x 14) – Generous in size, the Family/Dining Area allows for a full dining table, large couch & entertainment system. 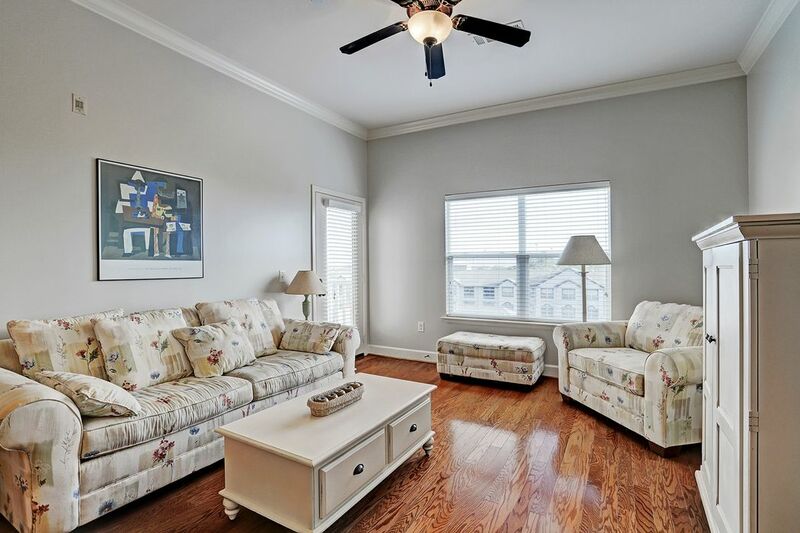 Family Area features a large window w/ blinds & door w/ window & blinds opening to Patio Area. 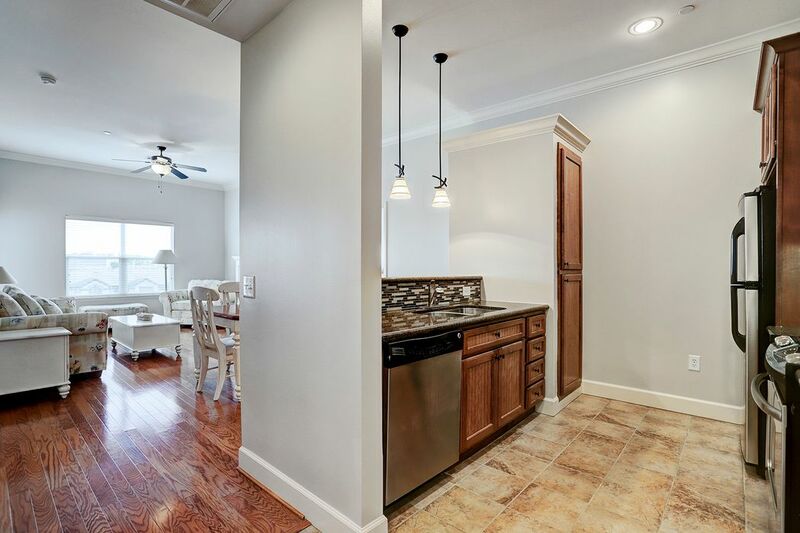 Ceiling fan w/ light, crown molding & hardwoods. View of Family/Dining Area showing double-door entry to Master Bedroom (left). 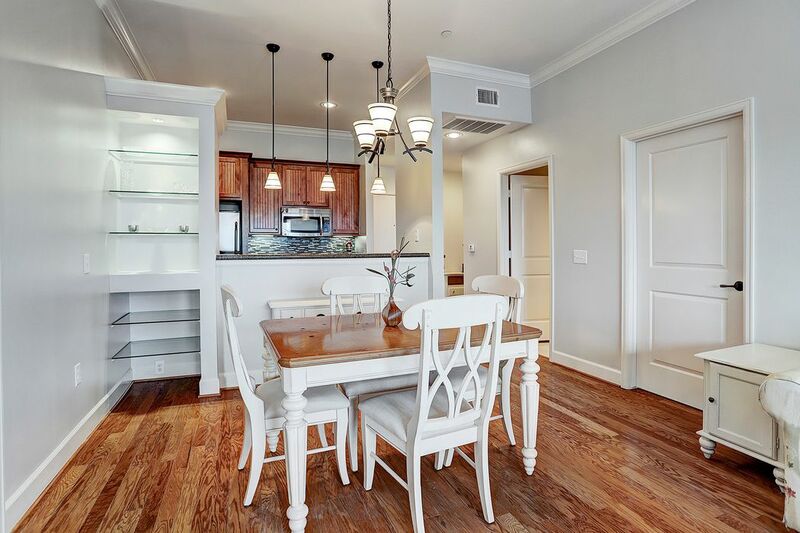 Dining Area features glass display shelving, copper/glass chandelier, crown molding & hardwoods. 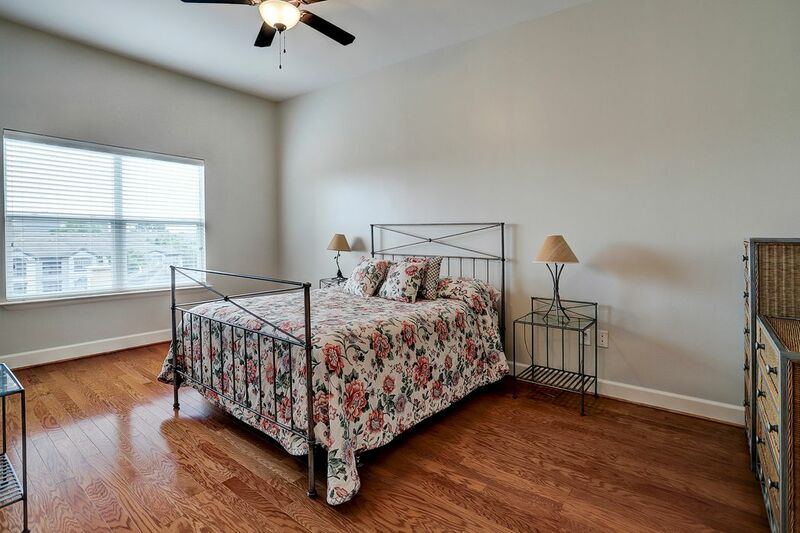 MASTER BEDROOM (20 x 12) – Large window w/ blinds, ceiling fan w/ light & hardwoods. 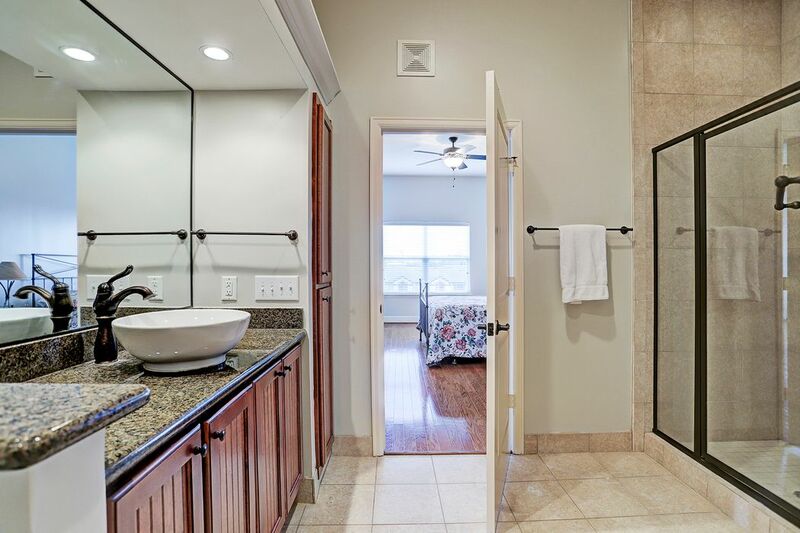 Alternate view of Master Bathroom showing separate walk-in shower w/ glass door & tile surround. Walk-in closet w/ hardwoods (not pictured). 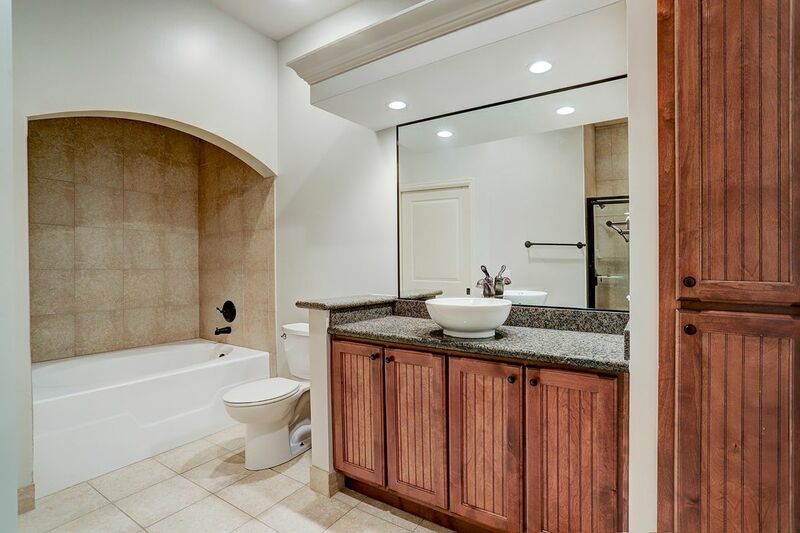 MASTER BATHROOM – Granite surface, porcelain vessel sink, antique bronze fixtures & large tub w/ tile surround. Tile flooring. 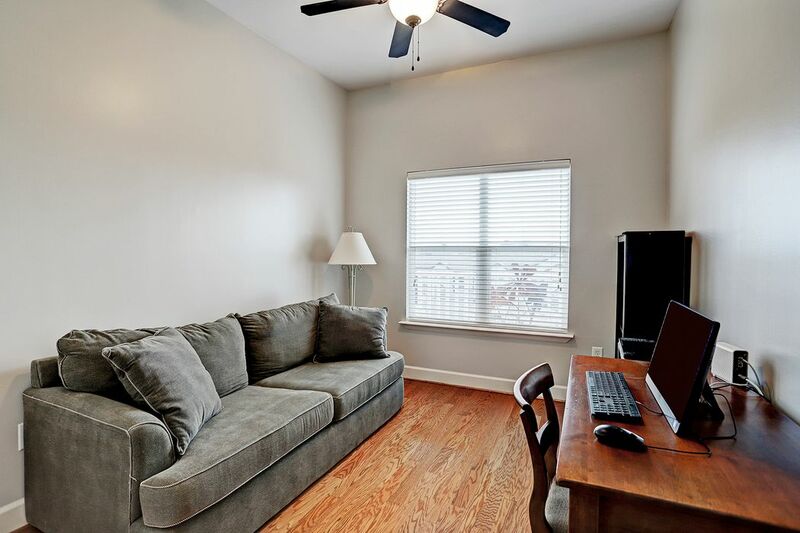 SECONDARY BEDROOM/STUDY (14 x 14) – Window w/ blinds opening to view of Patio Area. Double-door closet (not pictured), ceiling fan w/ light & hardwoods. 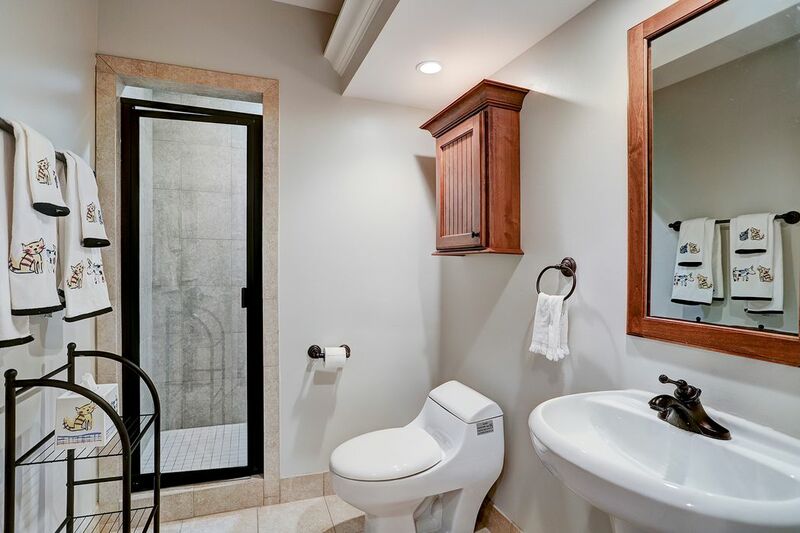 HALL BATH – Walk-in shower w/ glass door & tile surround, porcelain pedestal sink, antique copper hardware & framed mirror. Tile flooring. 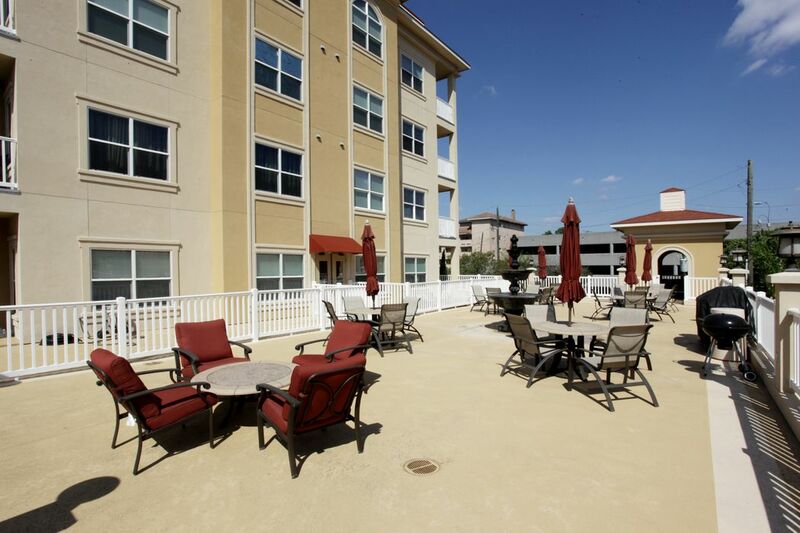 PATIO AREA – Room for a small table and (2) chairs. 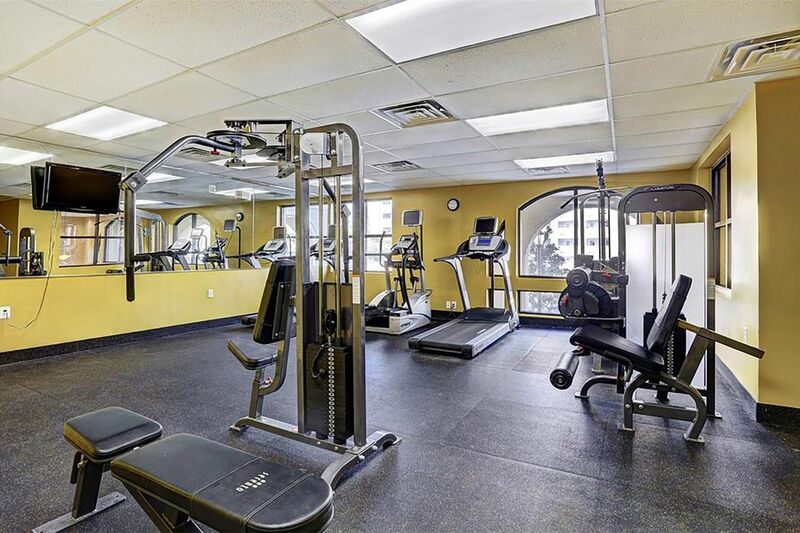 Work out in the Fitness Room, open 24-hours! 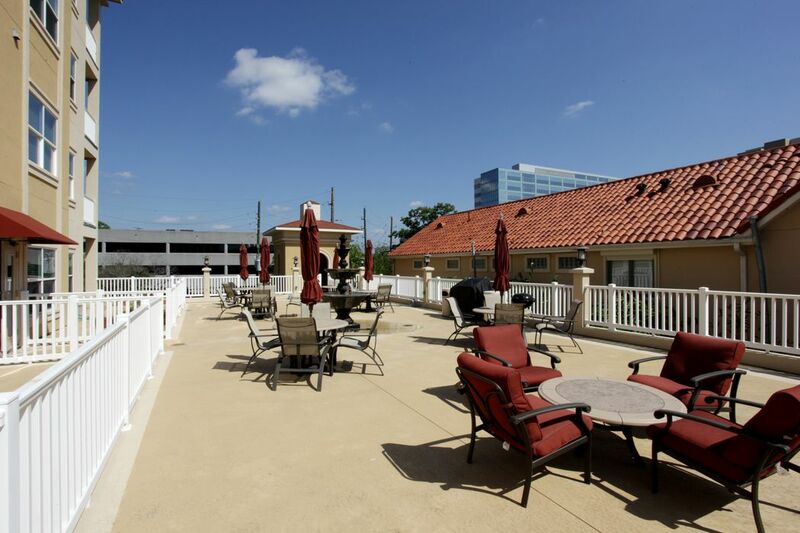 Relax with friends & family on the Community Patio. A perfect place to grill & enjoy a meal outdoors! Alternative view of Community Patio. Unit comes with (1) assigned parking spot in the adjoining garage. 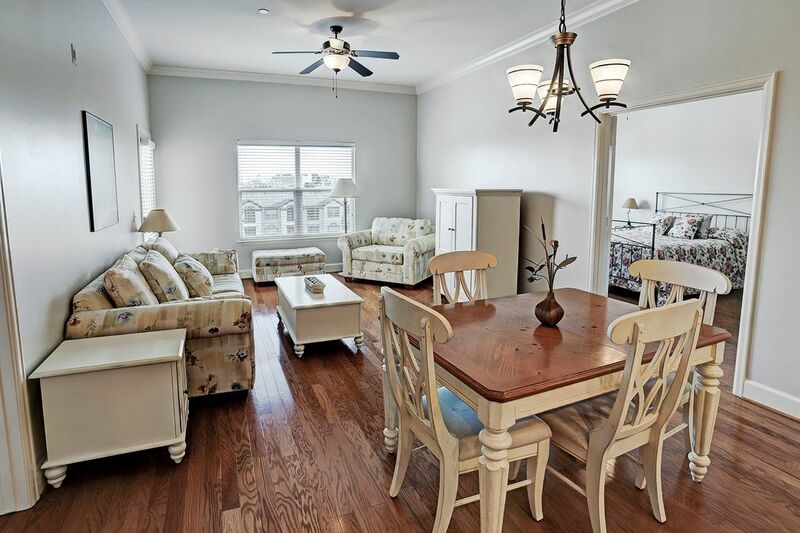 $265,000 2 Bedrooms2 Full Baths1,158 sq. ft.